I’d like to bring to readers’ attention a paper I co-authored recently with my former philosophy PhD mentor, Jonathan Kaplan, and my former graduate student (in biology) Josh Banta: Gould on Morton, Redux: What can the debate reveal about the limits of data?, published in Studies in History and Philosophy of Biological and Biomedical Sciences 52:22-31 (2015). Here is the full abstract: Lewis et al. (2011) attempted to restore the reputation of Samuel George Morton, a 19th century physician who reported on the skull sizes of different folk-races. Whereas Gould (1978) claimed that Morton’s conclusions were invalid because they reflected unconscious bias, Lewis et al. alleged that Morton’s findings were, in fact, supported, and Gould’s analysis biased. We take strong exception to Lewis et al.’s thesis that Morton was “right.” We maintain that Gould was right to reject Morton’s analysis as inappropriate and misleading, but wrong to believe that a more appropriate analysis was available. Lewis et al. fail to recognize that there is, given the dataset available, no appropriate way to answer any of the plausibly interesting questions about the “populations” in question (which in many cases are not populations in any biologically meaningful sense). We challenge the premise shared by both Gould and Lewis et al. that Morton’s confused data can be used to draw any meaningful conclusions. This, we argue, reveals the importance of properly focusing on the questions asked, rather than more narrowly on the data gathered. 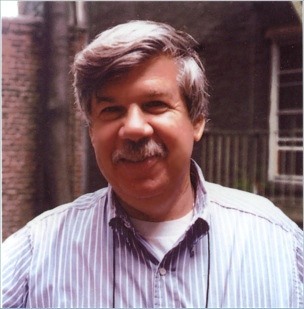 The puzzling thing here is that we sent the paper to the journal (Plos Biology) that originally published the Lewis et al.’s article which, in our opinion, unfairly criticized noted evolutionary biologist Stephen Jay Gould’s (photo) treatment of the Morton-skulls affair in his popular book, The Mismeaure of Man. That journal’s editor responded that while our paper was well written etc., it wasn’t worth publishing there because it wasn’t novel enough. Since we were critical of a paper previously published in the same journal, I would have thought “novelty” shouldn’t be the overriding criterion, with better candidates perhaps to be found in integrity and intellectual honesty. So be it. Our paper is now out for everyone to see, hopefully contributing to rectify Lewis et al.’s misleading treatment of Gould (while at the same time pointing out Gould’s own mistake in the original piece). This entry was posted in Massimo's Technical Stuff, Philosophy of Science on September 16, 2015 by Massimo. Not “novel” enough? He doesn’t feel that having an exchange over a subject as significant as this is worth the space in the journal he represents? That editor owes Pigliucci, et al. (and the general public, for that matter) a better explanation for his decision. In this paper you have nicely shown the value of philosophy of science. Misrepresenting another’s position is an execrable practice that we also saw from time to time in Scientia Salon comments. Why was Lewis doing this? Is this a cheap way of scoring debating points?